Mum Siobhan Walker, who graduated last year with a First Class degree in Sports and Exercise Sciences has begun her career as Personal Advisor to professional racing driver Reece Barr. She landed the role while still studying at Sunderland after Reece, who competes in the JCW BMW mini series, approached the University’s Sport Sciences team to help support him with his fitness, stamina and concentration. Academics immediately turned to Siobhan, as they recognised that her expertise in personal training and sports massage, and her studies in sports nutrition, would be an ideal fit for the young driver’s fitness needs. 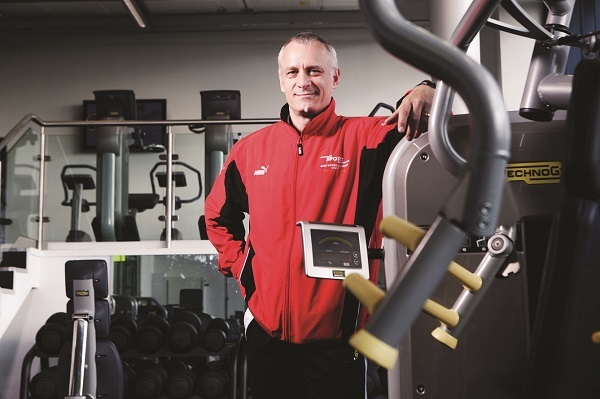 Morc Coulson is a Senior lecturer and programme leader of Sport and Exercise Science at the University of Sunderland. He was Chair of the CPD endorsement panel at Skills Active, the Sector Skills Council for Active Leisure, for many years and is a Level 4 Specialist CPD course evaluator. He is author of a number books, including: The Fitness Instructor’s Handbook, The Complete Guide to Teaching Exercise to Special Populations and Practical Fitness Testing.